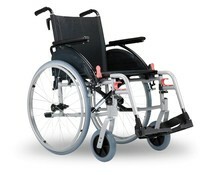 Excel G Entry is an aluminum lightweight wheelchair. 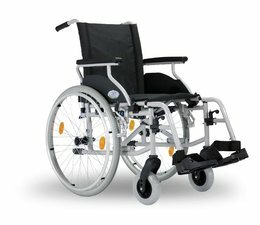 The wheelchair is easily foldable as the backrest and seat feature vertical stitching. The backrest cover covers the back tubes are complete and the back and seat pad with the aid of a flap connected to each other. This provides additional comfort! At the back of the Excel G-Entry is confirmed a guide arm, which provides additional stability. The rigid arms are extended from the lightweight wheelchair, making getting in and out goes smoothly. Completely backlash-free height adjustment base. 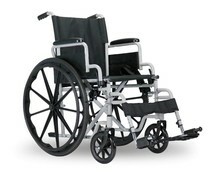 Excel G-Entry comes with heel straps on the footrests and features a raised side plate. A plus of increased side plate is that your clothing can not get caught in the spokes. In addition, the Excel-G Entry is equipped with polyurethane rigid arms. A great advantage of this is that the polyurethane allows for less wear and tear and feels more comfortable. In addition, the Excel-G Entry equipped with retractable armrests and footrests that are both internally and swung away outside.